He Answered The Call…Will You? We are all born with greatness. We are all called for a purpose bigger than we can imagine. The question is, will we answer the call or will we run? On this day, I reflect on the life of Dr. Martin Luther King Jr. He saw a need and answered a call to leadership, a call to service, a call to sacrifice. He was an ordinary man that with God and a dream team was able to do extraordinary things for the uplift of millions. Faith is taking the first step even when you don’t see the whole staircase – Dr. Martin Luther King Jr.
On Dr. King’s birthday we remember that although he wasn’t the first, he defied the norm as he fought for justice and equality. His opposition to racism, bigotry and segregation even in the face of death furthered the case of civil rights. His very resistance to oppression and the oppressors was an example of his faith put into action. Dr. King knew without a shadow of a doubt that he was called for a purpose greater than himself. He also knew that what he was doing could have him killed but he believed that what he was doing was right and that drove him to see his vision fulfilled. Through his leadership he inspired others to lead and many others to act in the name of freedom and righteousness. He walked out his faith. 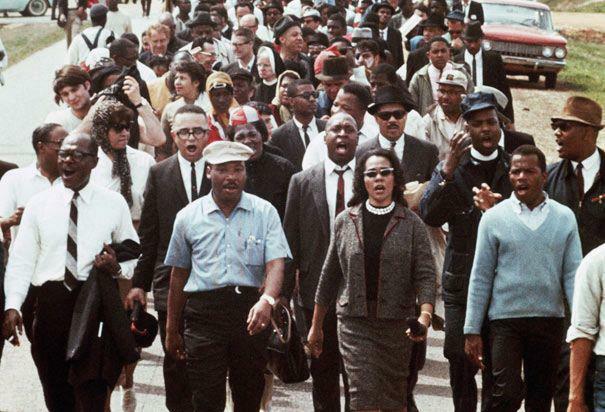 In his actions, Dr. King obeyed the scriptures as he spoke up for those who could not speak up for themselves. There were people like him, Rev. Fred Shuttlesworth, Rev. James Orange, Rev. Lowry and many many others who unselfishly bored the brunt of the Civil Rights Movement so that we could have a chance at opportunity. They made a difference because they chose to defend the rights of the poor and needy. They made a difference because they put the needs of the community before their own. Many years later and people are still hurting all around us. They are depressed, oppressed, poor and needy. Will you speak up for them? What is God’s calling for your life? Are you answering or are you running? Many of us have a ministry, a movement, a purpose that He has called us to fulfill; however, we are sitting and waiting, hoping that maybe God will call someone else, maybe someone else will step up to the plate. If not you, then who? If not now, then when? What are you waiting on to move? What He has called you to do is for you and no one else. Thank You for people like Dr. King. On his birthday, we honor his obedience to Your word. Heavenly Father, give us the courage to follow the calling You have placed on our lives. Help us to believe in ourselves but more importantly increase our faith in You knowing that You will equip us with all that we need. In Jesus’ Name, Amen! I EMPOWER you to answer the call. If you need clarity on your purpose, pray and ask God to reveal it to you. Write down the vision and ask God to order your steps but whatever you do MOVE. Be obedient to His word. Be obedient to God’s calling on your life. Read a related EmpowerMoment: Advocate or Performer?